Uroboros Streaky Grenadine glass is the vibrant base of this stunning wall hanging. 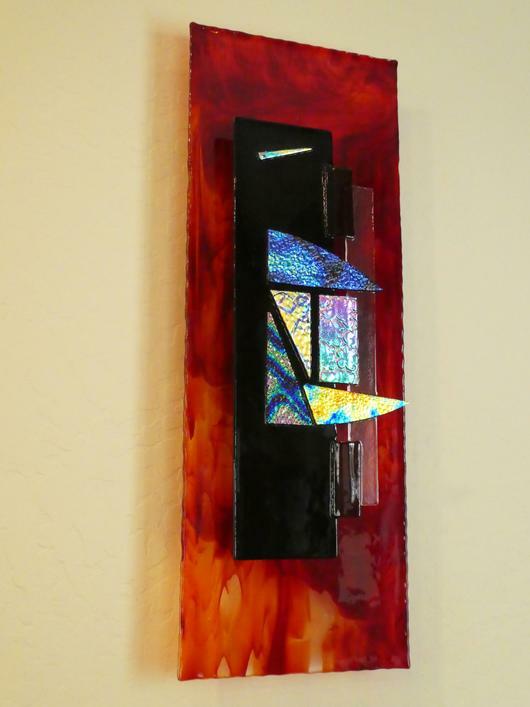 Beautifully arranged dichroic glass provides a shimmering focal point for the unique art piece. The black glass is set out from the red glass creating a three dimensional effect. A wooden wall mount on the back makes this piece easy to mount on any wall.